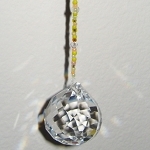 Swarovski Weight Loss Hanging Crystals help you lose weight easier so you can achieve your healthy optimal weight. 20 mm or 30 mm Round Swarovski Crystal on gemstone hanger. All faceted crystals clear a room of negative energy replacing it with positive energy, deflect negative energy, and protect you from poison arrows (a form of negative energy) and harm. 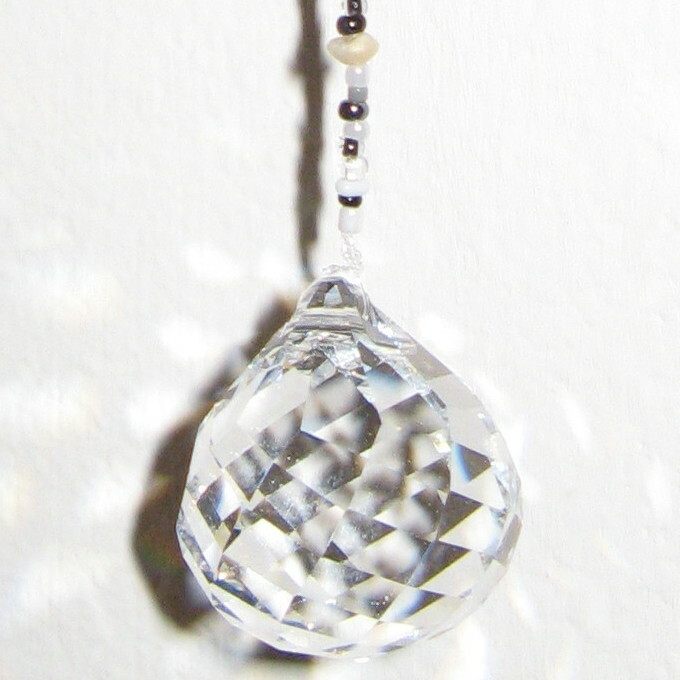 This faceted round genuine Austrian Swarovski crystal is hanging from a string of beads including semi-precious Unakite (or Unikite) and semi-precious Moonstone. Unakite are used to help you achieve the weight loss you need so you can reach your personal optimal weight. 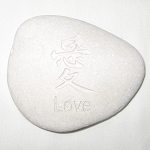 The Moonstone are used to assist you in achieving your weight loss goals. Both the Unakite and Moonstone have been energetically cleansed and programmed to amplify the powerful energy and Feng Shui properties of the crystal. It includes black, white and grey which are appropriate for Feng Shui weight loss. Each hanger is completely unique, fully hand strung, and filled with the artist's intention of easy weight loss to achieve your healthy optimal weight for those who hang it. Perfect for a car’s rear view mirror. Exclusive to Zen Appeal!